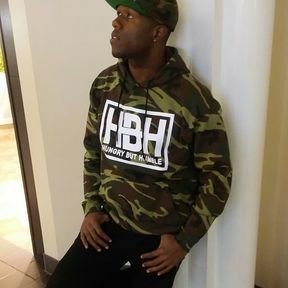 Why shop at HBH Clothing? HBH(HUNGRY BUT HUMBLE) is a life style(MOVEMENT). Everyday is a FIGHT to continue life's journey. HBH is a reminder to stay focused on the most important things in life. We all know how life's obstacles can take a toll on our Heart and Soul. Just know it's a another person going through similar situations. No matter what happens, NEVER GIVE UP!!! I was just another person challenged to become who I really wanted to be. At the age of 18, I was kicked out of my home. After being homeless for six months I learned that I had to use intellect to succeed in life. After witnessing my childhood friends go to jail, get shot, and sell drugs just to make ends meet, I challenged myself to make a positive impact on my community. My mission is to remind others that they're not the only ones going through hard times. If we stay focused, optimistic, and challenge ourselves we can provide a platform to EXCEL! HBH is a reminder to people that anything is possible as long as we stay HUNGRY BUT HUMBLE.